Billy Gillespie was an all time Irish great and it was astonishing that Leeds City should allow him to slip through their fingers; they sold him to Sheffield United for a club record £400 in the run up to Christmas 1911 to ease their financial problems. According to Ivan Sharpe, Gillespie's "generalship and captaincy for Ireland exceeded even his successes with Sheffield United. An easy going inside left of straightforward methods, Gillespie had the golden gift of piercing a defence with one long, accurate pass." William Ballantrae Gillespie was born in Kerrykeel, Donegal, on 6 August 1891, the son of a policeman. After demonstrating his talents in local junior football, he was signed up by Derry Institute when just 17. In May 1910, Gillespie was about to join Linfield when Leeds City secretary-manager Frank Scott-Walford, scouting for players in the Emerald Isle, persuaded him instead to cross the water and sign professional forms for the English Second Division outfit. Scott-Walford had been alerted to his talents earlier, when watching him score twice in a junior international match against Scotland at Celtic Park. Gillespie and countryman Joe Enright were given rave reviews after their displays in pre-season warm ups, Gillespie netting a hat trick in the contest between the Whites and the Stripes. Both men were given debuts in the opening game against Blackpool on 3 September, with Gillespie leading the attack. Billy McLeod, the regular centre-forward, who had been injured, returned the following week at Gillespie's expense. The Irishman scored a hat trick in the reserves and was back at centre-forward on September 24, with McLeod switching to inside-right for the match at Huddersfield. With Hugh Roberts on the right flank, Enright at inside-left and Fred Croot outside him, that same forward line played unchanged for nine games. Gillespie opened his scoring account for City in the 1-1 draw with Birmingham at Elland Road on October 1. He fired past the keeper early on after a move which he had started in his own half. That goal set him off on a scoring spree and Gillespie scored seven times in the following eight games, including braces against Gainsbrough and Stockport in 4-0 victories. For all that, the Irishman was not without his critics and after a 3-3 draw with Chelsea on Boxing Day, he was dropped to allow McLeod to resume at centre-forward. He appeared only twice more all season. After playing in the first four games of 1911/12, Gillespie was left out again and only played two more matches for City, against Burnley and Wolves in December. On both occasions, Leeds shipped five goals. 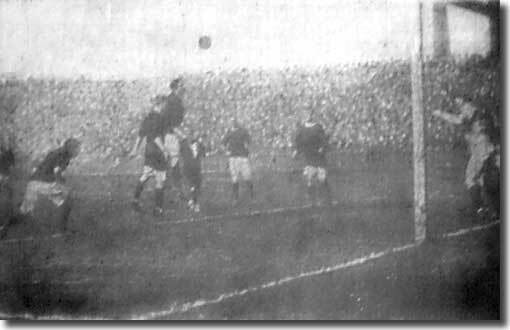 Gillespie scored from a penalty in the first game, when he was rated the Peacocks' outstanding forward. On 22 December, the Yorkshire Post broke the news that the Irishman would be leaving Elland Road. "We are informed by Mr Scott-Walford, the Leeds City manager, that he has transferred W Gillespie to Sheffield United at what is stated to be a record fee for the Leeds City club. Gillespie has been regarded as one of the most useful of the Irish brigade at Elland Road. He was secured from the Londonderry Guild club at the beginning of last season, and has played regularly with Leeds City either in the centre-forward or inside-left position. He has played with such success in the latter position that his transfer in the present critical state in the club's affairs may occasion surprise, but ... the management felt, in the circumstances, that they could not reasonably refuse Sheffield United's offer for his transfer. "In reality the transfer has been forced by the trend of recent events. Gates of late at Elland Road have not been sufficient to pay the ordinary expenses of the club, and when Sheffield United weighed in with what is stated to be a bigger fee than has ever before been paid for the transfer of a Leeds City player, the management felt that the interests of the club demanded its acceptance. We have reason to believe that the fee is something approaching or something exceeding £400 and if that be so the acceptance of Sheffield United's cheque will go some way towards tiding over Leeds United's financial embarrassments." 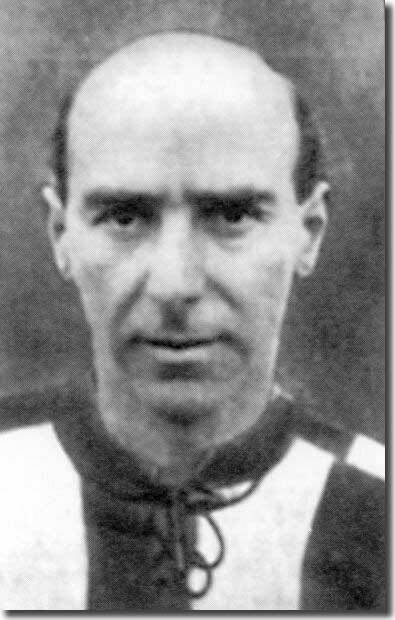 The additional funds might have eased City's financial difficulties, but it was a massive error of judgement on the club's behalf; Gillespie went on to prove himself one of the outstanding Irish talents of all time, enjoying a 20-year career at Bramall Lane and scored over 130 goals in nearly 500 games. Gillespie made his international debut in February 1913, scoring twice as Ireland achieved their first ever victory over England. A year later he was a member of the first Irish team to secure the Home International Championships when they won two and drew one of their three games. He enjoyed incredible success for Ireland against England and seven of his 13 international goals came against the Irish. That international goal haul set an Irish record which stood until 2004 when David Healy took his international total to 14. Gillespie won 25 Irish caps. He quickly established himself as a stalwart of the Sheffield United side, becoming their midfield playmaker and proving himself an outstanding ball player. 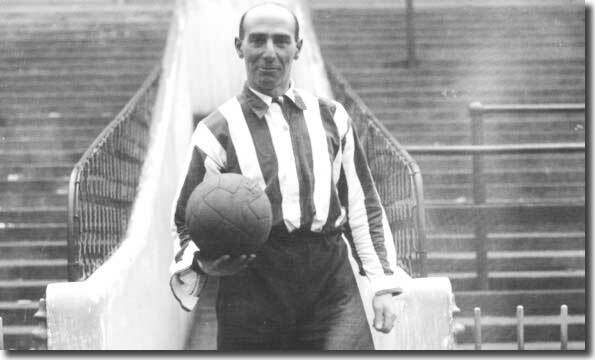 He missed the Blades' FA Cup triumph in 1915 when he was out with a broken leg, but received a winner's medal ten years later when he captained them to victory in the final against Cardiff City. Ivan Sharpe: "Never has Gillespie's generalship been more marked. No player on view trapped the ball so surely, retained it with such good judgement, and exhibited such power and precision in sending it either to the left or right wing or more delicately down the middle. Sheffield United played wonderfully well but special praise is due to Gillespie, the man who waves a wand and whose influence has played such a vital part in United's capture of the Cup." He remained with United until 1932, when he returned to Ireland for a nine-year spell as manager of Derry City. As part of the deal taking him back to Ireland, Gillespie had to take a red and white team strip with him and Derry adopted the colours. He led Derry to two City Cup triumphs and on four successive occasions they finished runners up in the Irish League. Gillespie left Derry City in 1941 and relocated to Bexley in Kent, where he died a month short of his ninetieth birthday in July 1981.